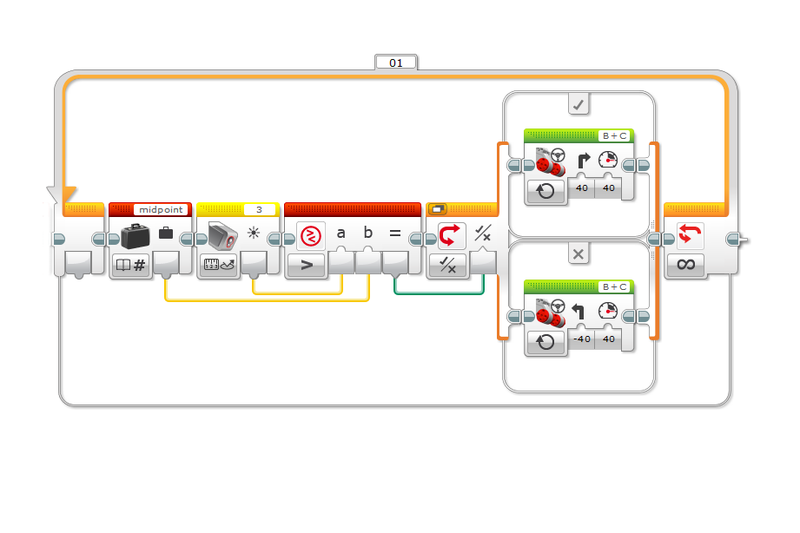 so i’ve just copied everything i read and saw in the pictures to the ev3 software and my robot did not do anything it was supposed to do. With the on off controller my robot spins in circles and does not follow the line at all. With the p controller, my robot just runs off the track and does not even detect the line. please help! Usually just copying stuff don’t work. Is your robot like mine? Are you calibrating correctly the robot by showing him proper “white” and proper “black”? Usually just fixing that should make a clumpsy on-off line follower. I bet it is just a problem of calibration also if the robot is a bit different to mine, make sure the light sensor is really close to ground.